I know for many of our locals it was their first trip to the ranch. Â They found the week to be really tough, but cherished the experience and can’t wait for a chance to return and race again. Â Some suffered the heartache and disappoint of an injury that knocked them out of competition. For every one that made it to the ranch there were hundreds that would have given anything to be in their place. Â That’s what make this race so special. Â There are no gimme’s, it takes hard work, dedication, and sacrifice to get there. 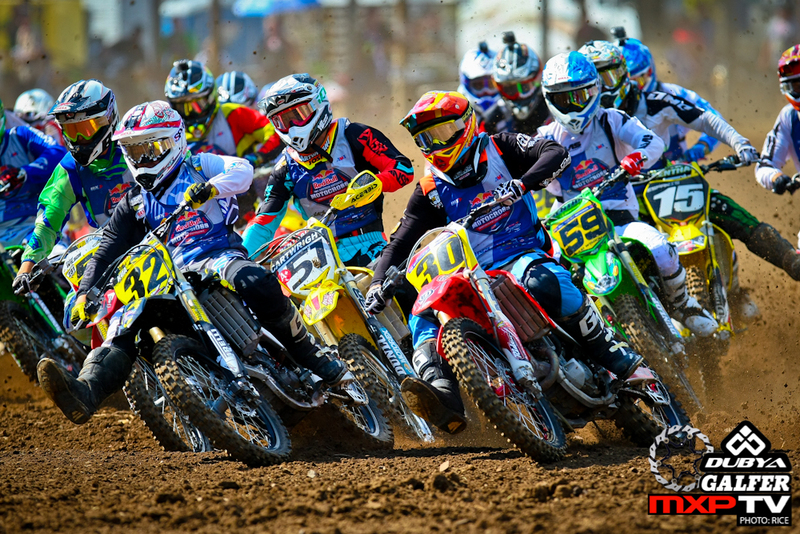 Â And it begins again right now, there is no break, no rest for the weary, the “Road to Loretta’s 2014” starts now. 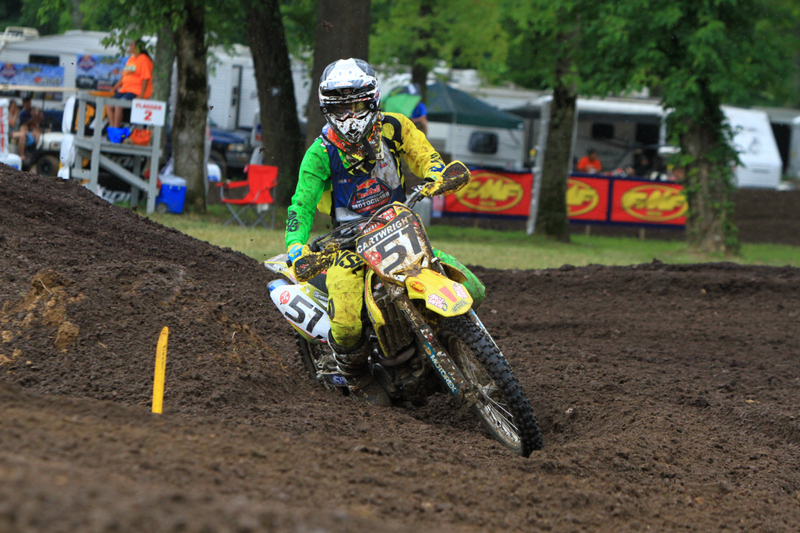 Brendan Harp – Gonzales, LA – 12th Overall (14-24-10). Â Brendan ran a tribute to injured friend Justin Dykes at Lorettas. Â MX Sports was kind enough to make sure that he received Justin’s #23 as his national number. Â After a couple of months in two hosipitals Justin is make great strides at recovery and was able to be at Loretta’s for Friday and Saturday’s races. Zach Bishop-Burnett – Arlington, TN – 13th Overall (21-2-25). Â Zach had a great second moto in 450B. 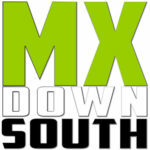 Brent Carson (Oxford, MS) rips a holeshot on Friday at the Ranch. 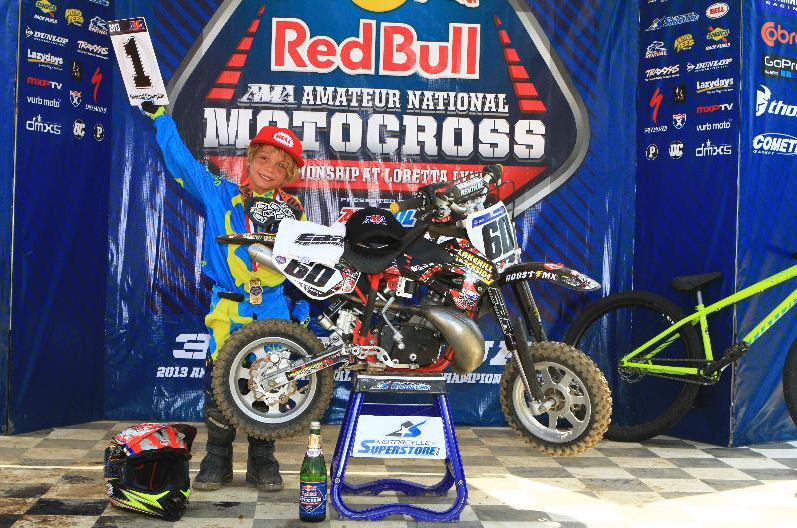 Robert Dupuy – Walker, LA – 15th Overall (32-16-11) Robby progressed each moto and looks to be a major player next year. 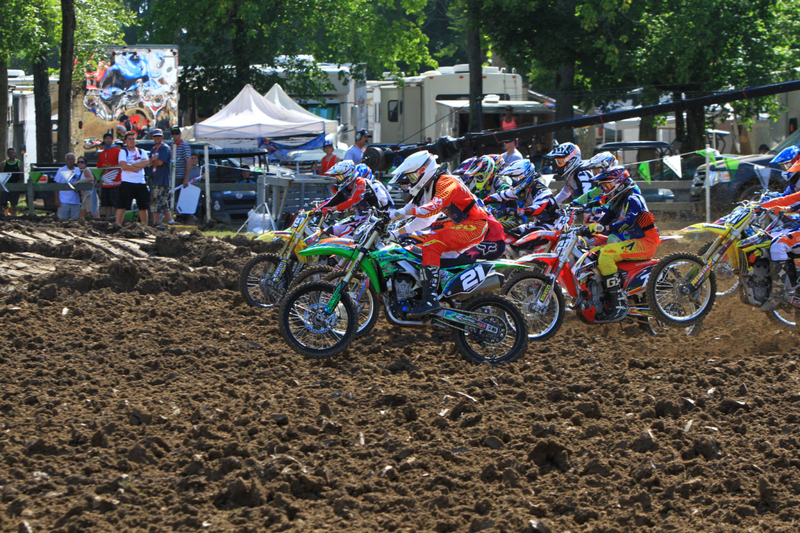 Josh Cartwright battles for position on his way to a national championship in the College Boy Class. 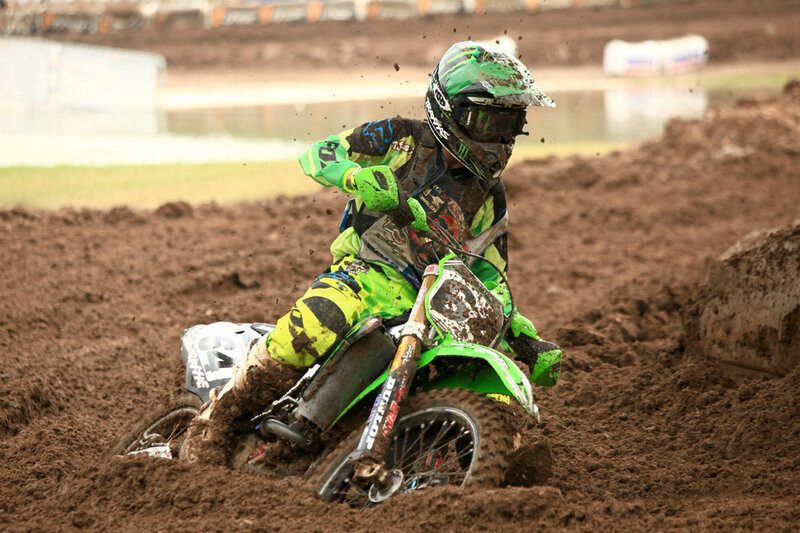 Alabama native Thomas Covington ran some great motos this past week at the Ranch. Look for him in the Pro ranks soon.